When I was in junior high, I had a close encounter with drugs. One day a small group of hearing teens invited me to try some "stuff," and they showed it to me. It was white and powdery. I had no idea what it was, but my intuition told me that it was something bad. Looking back, I believe it was cocaine. Fortunately, at the time I had enough sense to say no. In the '70s, they didn't teach me about drugs and what little I knew came from reading. There are captioned and signed videos available through the Described and Captioned Media Program under the Drug Abuse subcategory, which can be found within the Health and Safety category. An article that addresses drug education for deaf students is "Drug abuse resistance education (D.A.R.E. ): special consideration for students who are deaf or hard of hearing," Journal of the American Deafness and Rehabilitation Association p 9-11, vol. 26, no. 2, Fall 1992. Isaacs, Morton J. (1979). Patterns of drinking among the deaf. American Journal of Drug and Alcohol Abuse, 6 (4), 463-476. Providing chemical dependency treatment to the deaf or hard of hearing mentally ill client, Journal of the American Deafness and Rehabilitation Association, p 1-14, vol 27 no 1, summer 1993. Substance abuse among the deaf population: an overview of current strategies, programs & barriers to recovery, Journal of the American Deafness and Rehabilitation Association, vol 22 no 4, April 1989, p 79-85. Gallaudet University library in Washington, D.C. has the Master's thesis " Alcohol and cigarette use expectancies among deaf and hard-of-hearing participants in a substance abuse treatment program," by Eleanor C. Dunai (2001). Another thesis also on file at Gallaudet University library is "An analysis of variables that impact treatment outcomes of chemically dependent deaf and hard of hearing individuals," by Debra Sue Guthmann-Ternus (1995). Both these may also be available through University Microfilms International. Support groups for deaf substance abusers exist although there are apparently few of them. For example, according to one reader, Alcoholics Anonymous meetings take place in Frederick, Maryland on Wednesdays in the evenings. The same reader said there is an AA meeting with an ASL interpreter in Washington, DC on Sundays at noon, at 1623 Connecticut Ave. Some treatment centers have added services for deaf substance abusers. A National Directory of Alcohol and Other Drugs Prevention and Treatment Programs Accessible to the Deaf, is available through the Rochester Institute of Technology Substance and Alcohol Intervention Services for the Deaf (SAISD). This downloadable directory can be used by either deaf people seeking help or counselors seeking programs for clients in need. Signs of Sobriety, a program in New Jersey. Substance and Alcohol Intervention Services for the Deaf at the Rochester Institute of Technology in Rochester, New York. They provide services for both clients and professionals working with deaf substance abusers. FEGS-New York Society for the Deaf offers a substance abuse program. The Mental Health Center at Gallaudet University offers an alcohol and substance abuse program. ADARA, formerly the American Deafness and Rehabilitation Association, is a professional organization for service providers to the deaf and hard of hearing. Among its special interest sections is a section on Chemical Dependency. This course prepares the student in one of the helping professions to understand the primary issues related to the use and abuse of alcohol and other drugs, including narcotics, depressants, stimulants, hallucinogens, and marijuana. 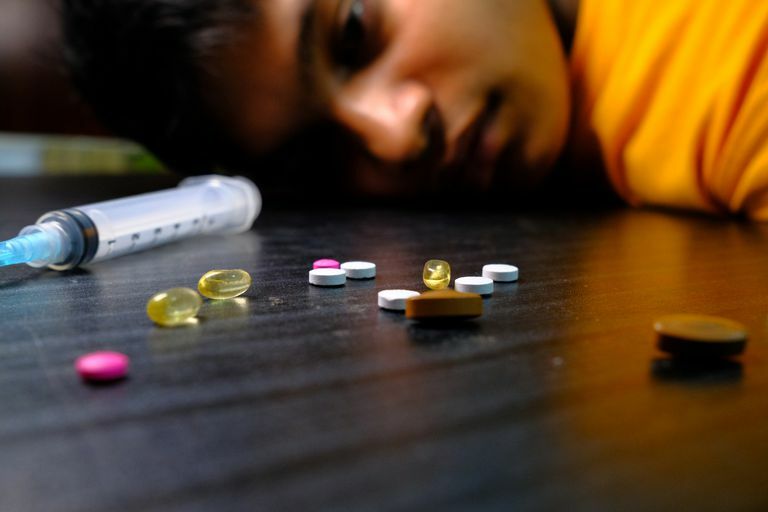 The impact of drug use on the individual, the family, and society will be examined, including the psychological ramifications of children of alcoholics and drug abusers. Emphasis will be on the development of intervention skills and identifying the person who is abusing chemicals. Knowledge of community resources and programs, with attention given to accessibility to deaf substance abusers, will be covered. In addition, The Distance Learning Center for Addiction Studies (www.dlcas.com/) offers courses on deafness and substance abuse: Deaf/Hard of Hearing and Substance Abuse.